Free Admission Every First and Third Thursday of the Month. 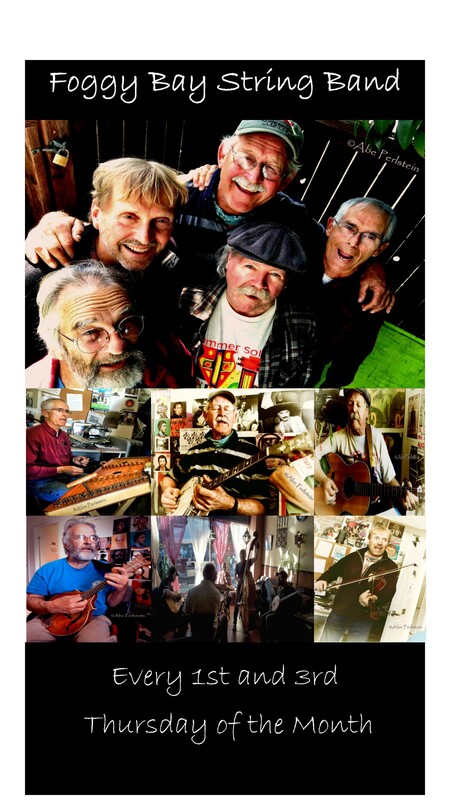 The band will be performing at Oasis Restaurant in downtown San Luis Obispo every first and third Thursday of every month. The Foggy Bay String Band plays Old Time American music. The term “Old Time” music refers to traditional dance tunes and songs primarily of the Appalachian Mountains in the southeast United States, as performed by immigrants who remembered ancient melodies and ballads from Scotland, Ireland, and other European cultures. This music was strongly influenced over the past three hundred years by African-American instruments (especially the five-string banjo) and rhythms. In addition to the Appalachian mountain range where the “Scots-Irish” pioneers first settled, the larger region where the originators of this music can be found includes up and down the Father of Waters, otherwise known as the Mississippi River. In the middle of the Twentieth Century, many of the Old Time melodies were adapted into the faster-paced stage music called Bluegrass but Old Time music lovers prefer the older styles handed down in an oral tradition from long before any recorded music existed. In towns and farms throughout the region, the residents continue to play the music of their parents and to pass it down to their children, with the music changing and evolving as it travels from one generation to the next. All of us in the band are really enjoying getting to know both Owners Karim and Chantale and playing at the Oasis restaurant in downtown San Luis Obispo. 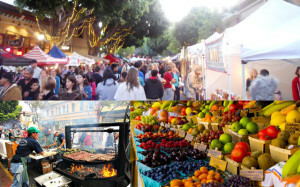 Farmers Market every Thursday from 6:00 pm to 9:00 pm. Stop by our Farmers Market Booth located in front of Oasis Restaurant. Grab a Mediterranean Sandwich, Moroccan Tea, and some fresh homemade Baklava.